HTC is coming off of good news with its revenue, but it is still somewhat up in the air what we should be expecting in terms of the company's next flagship. For a while, it looked like it would be the HTC O2, but now word has it that the next major device will be called the HTC Perfume (we're really hoping that's a codename). The only bits of info are that the HTC O2 will launch with Android 6.1 and Sense 8.0, neither of which exist right now. HTC could certainly make the move to Sense 8.0 whenever, but given that Google just released Android 6.0 last month, we're unsure Android 6.1 will be on the way anytime soon. The very earliest we would expect another Android update would be Google I/O, which probably won't happen until June. So, if the rumor is true, it seems reasonable to not expect the HTC Perfume until the second half of 2016. As far as anything else regarding the HTC Perfume (really really hope that's a codename) we'll have to take guesses. The HTC O2 was expected to feature a 6-inch 1440 x 2560 display, a Snapdragon 820 chipset, 4GB of RAM, 64GB/128GB of internal storage, a 20.7MP rear-facing camera, a 5MP front camera, and a 3500mAh. Aside from the display size, which could realistically be anywhere from 5 to 6-inches, all of that sounds pretty reasonable for any 2016 flagship. 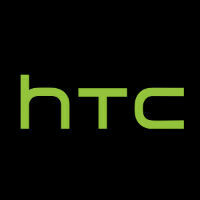 We'd also expect the usual HTC front-facing BoomSound speakers and probably a fingerprint scanner as well. Perfume doesn't sounds good even for code name. Yeah. But at least if I buy this I don't have to keep answering this: "Oooh cool phone. What's it called" "Perfume"
Android 6.1 won't be announced during Google I/O, is this writer on crack? Android 6.1 doesen't even exist yet, what's wrong with your PA? lol Oh HTC. Is this going to have some kind of smell processor or something retarded like that? I can't think of another reason to have such a horrible nick name.